Here is a list of my personal favorite anime series that I have had the fortune of seeing over the years. As of currently, this page is still very much a work in progress. As with my list of favorite movies, this page is also getting reworked from its previous iteration. Satoshi Kon’s first TV series following three superb movies. 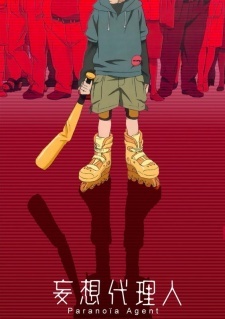 In an interview, Satoshi Kon revealed that the premise of Paranoia Agent came about as a way of using all the leftover material that couldn’t make it into his movies. In a way, it resembles Millennium Actress in its narrative structure, Perfect Blue in its thriller and psychological elements, and Tokyo Godfathers in the way it brings to light the problems of society. Paranoia Agent is a combination of all the things that Satoshi Kon has worked on up until this point, showcasing his masterful storytelling, animation, and cinematography prowess. Perfect in its pacing and construction. This is the director at his best. Hands down one of the best experimental TV shows of all time. Let’s go back in time to the age of Nagahama. 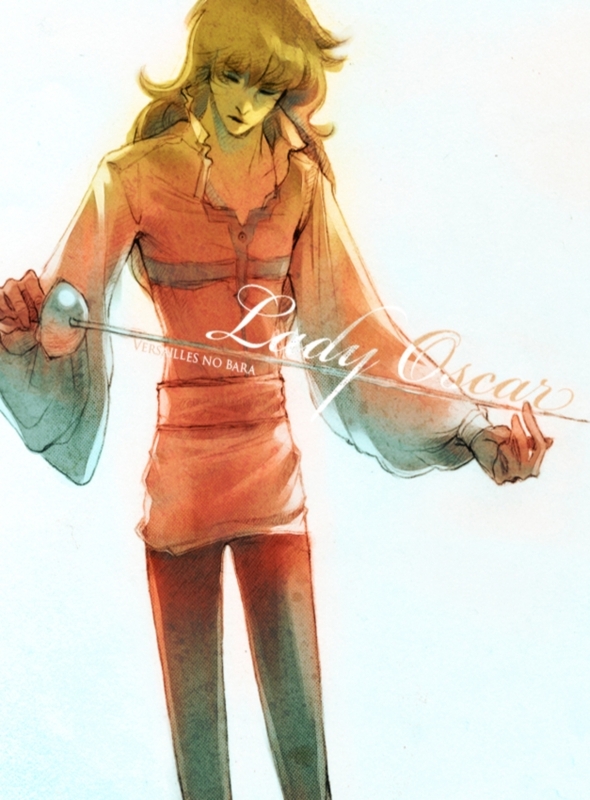 The age of the romantic robot trilogy and the age of Versailles. I’m a hard-coded science fiction fan, this includes anything from mecha and cyberpunk to space opera and Star Trek. Yet something about Rose of Versailles, a historical fiction shoujo manga turned anime series, captivated me from the moment I began watching. If anything, the fact that I marathoned this show is a testament to its greatness. It can be described as a love letter to France, taking place in the turbulent years leading up to the French Revolution. The show alone reaffirmed my trust in anime as a all-encompassing medium of storytelling. Rose of Versailles is a testament to anime’s cultural potential and one that is surely not to be missed. From the director that brought us Mind Game, Kemonozume, and Kaiba comes what is quite possibly the most elegant and artistic show of 2010. Yojou-han Shinwa Taikei (or The Tatami Galaxy) is very much a self-contemplative work. Directed by the always-unique Masaaki Yuasa, the show aired during the latter half of the noitaminA programming block during the spring 2010 season. The show as whole captivates everything that noitaminA stands for: quality and aesthetic entertainment for the older audience. 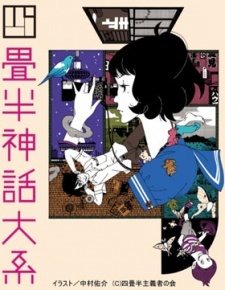 The Tatami Galaxy is pure genius in both narrative and artistic style. The cyclical story and captivating atmosphere paints each character in multiple facets. The narrative is purposefully fast, witty, and disjointed, a stark deviation from most of its contemporaries. The show is, hands down, the best of 2010. A beacon of hope for quality animation moving forward. Variable fighters? Check. Love triangles and missile circus spam? Check and check. Looks like classic Macross to me. I’m not old enough to have been part of the Robotech generation of anime fans. However I’d imagine that for those guys, Macross Plus is like the modern envisionment of classic Macross/Robotech. Of course we don’t think that now, since it aired in 1994, but back then this was huge. 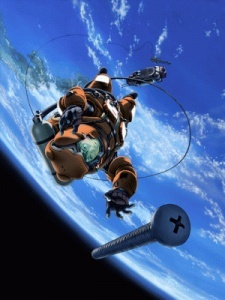 It marked the directorial debut of Shinichiro Watanabe as well (arguably) the series that started Yoko Kanno’s surge into fame. Despite having a beautiful music score, and excellent characterization, the true strength of the show lies in its animation. At the time of its release, the animation quality was nothing short of groundbreaking. It managed to seamlessly combine of hand painted cells and computer generated imagery, setting the bar and paving the way for future animators. Fans of mecha, giant robots, romance, and jaw dropping animation, definitely check out this four-episode OVA. As fans, we often times use the word “classic” loosely. We may use it to refer to the likes of Dragonball Z or Sailor Moon. Whether these can be considered classics yet is up for debate. However, there exists a show that is truly a classic in every sense of the word. That show is Space Battleship Yamato, co-created by director and resident genius Leiji Matsumoto and producer Yoshinobu Nishizaki. With its first season airing in 1974, Space Battleship Yamato (also known as Star Blazers in America) captured the hearts of so many fans who grew up during the time. A thrilling series that is both entertaining to viewers as well as a deep introspective look at post World War II sentiment in Japan. It marked the starting point for the Leijiverse which inevitably spawned an entire media franchise. 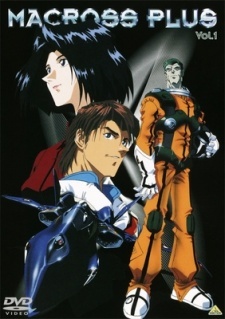 As for the show itself, it marked the beginnings of the Space Opera for the anime medium. After all these decades, it still holds its own when compared to the best of the best. 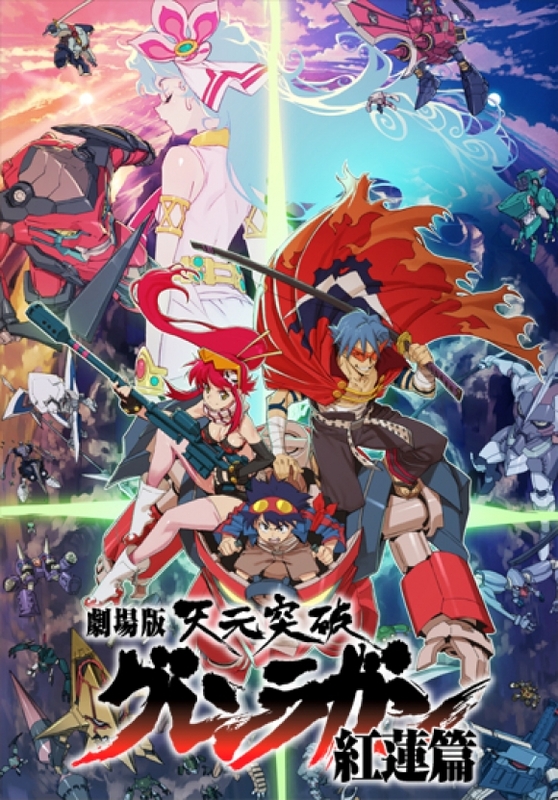 Tengen Toppa Gurren Lagann is basically one huge throwback and homage to the super robot genre of the past. This show is a little of bit of Getter Robo, Mazinger Z, Evangelion, Macross, FLCL, Gunbuster, GaoGaiGar, Space Battleship Yamato and everything that the original Gainax founders grew up on. The director, Hiroyuki Imaishi, is in my opinion one of the best animators in the industry today. The show is far from perfect, but its pretty damn entertaining no matter how you look at it. It takes everything I enjoy from New Getter Robo and magnifies them to levels of epic proportions. 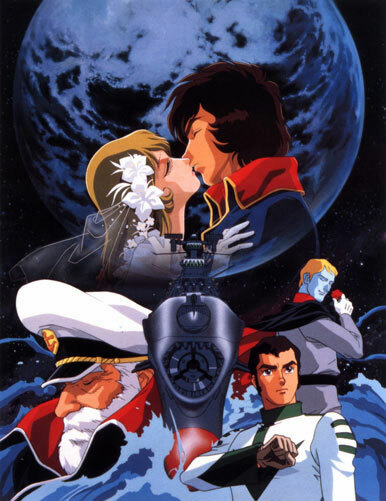 It takes the galactic struggle seen in Space Battleship Yamato and puts a twist on it that’ll have you scratching your head long after the show has run it’s course. It even had a morning time-slot when it aired in Japan. Imagine waking up to Tengen Toppa Gurren Lagann as a kid. Take all my money now. If you haven’t seen this show, I highly recommend watching it now. There are times when its simply better to ignore all logic and kick reason to the curb. After the “Bones split” in 1998, Sunrise found itself struggling. No not in the financial sense, their ever popular Gundam franchise was generating more than enough revenue. Instead, they found themselves struggling to create anime of the same caliber as they could in the 90s. Then came Planetes in 2003. Planetes is a very realistic portrayal of human civilization in 2075. It’s a story about a group of debris collectors whos job is to collect hazardous space debris above Earth, essentially a story chronicling the lives of trashmen of the future. It deals with many of the issues caused by man’s desire to expand out into space and explores each character’s motivations and personalities and how they ultimately conflict and resolve. Planetes is more than a TV show, it is a testament to the accomplishments of mankind both in the past, and in the future yet to be realized. When speaking in terms of hard science fiction, it doesn’t get better than this. It’s a travesty that most younger fans such as myself never had the chance to experience the greatness that is Mitsuteru Yokoyama. The original Tetsujin 28 marked the historic point in time when the mecha genre made the leap from manga to animation. The same goes for Sally the Witch, the first magical girl show in the history of Japanese anime. These shows are relics of their time, and for the most part, have stayed as such. 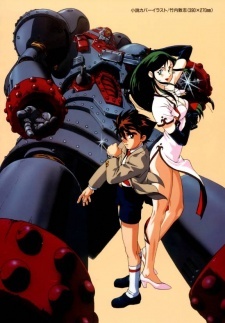 Then there is Giant Robo, a show made in the 90s that encapsulates all the wonderful aspects of the 50s and 60s. It is in essence, one big homage to Tetsujin 28, super robots, science fiction, Romance of the Three Kingdoms, and everything Yokoyama. When I finally got around to watching this, I realized that all this time, this was what I was missing. Now I’ve seen it and it’s thanks to Yasuhiro Imagawa. Giant Robo is, to this day, my favorite giant robot series. Fluid animation, fast paced action sequences, awesome soundtrack, and a distinguished cast of characters. Cowboy Bebop was my first anime series and subsequently my gateway drug. The story follows a group of bounty hunters or “cowboys” who travel the solar system in search of bounties. There’s Jet the ex-cop, Faye the femme fatale, Edward the genius kid hacker, and Spike the tragic hero with a dark past. Together they make one hell of a cast. After all these years since it captivated and introduced me to the world of Japanese animation, it has still remained one of my favorites. Cowboy Bebop establishes Shinichiro Watanabe as one of the greatest directors in anime history as well as one of my personal favorite figures. One of Bebop’s greatest achievements is how it has withstood the test of time. While not an old series by any means, it has remained a favorite among anime fandom for more than a decade. Cowboy Bebop is a masterpiece. The guys at Gainax are a bunch of nerds. They had me at Daicon IV, a homage to everything nerdlike. Then came the Anno years and all the good and bad that came with it. Gunbuster blew my mind while Neon Genesis Evangelion nearly destroyed my mind. Yamaga’s profit model led the way for most of the late 90s and early 00s, generating pulp titles such as Maharomatic and He Is My Master. Then came Tengen Toppa Gurren Lagann, a masterpiece and re-invigoration of sorts. 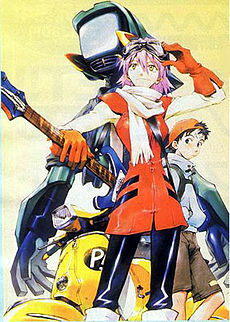 In midst of all this there was a little 6-part OVA series called FLCL. What exactly is FLCL? Who knows? I try my best to answer that question in my review of the entire series. Truth be told, anyone’s opinion is as good as mine. Nonetheless, it’s a series that exploded into my Top 10 list and is here to stay for as long as I am a fan of anime. Watch it and you’ll see why. Don’t know if you want comments on the page of an ever-shifting list, so feel free to delete this one. But I have to say I’ve seen exactly half of these anime, and I absolutely loved each of them. I can’t comment on the other five, but I could in a few months as they’re all going onto my watch list now. Really neat top 10. A little bummed you took the top 50 down although I can see how that’d be tough to manage. Will it ever be reworked as a recommendation page? Glad you found this post interesting. And thanks for the comment, they are always welcome. I had planned to create a separate page for the titles I took down but I keep putting it off. I should get on that ;). aww man my favourite (standalone) anime of all time made it fourth, well at least it’s in the third three. Planetes ftw!. 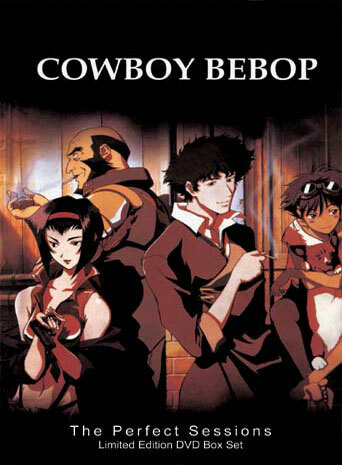 Another favourite made it second, Cowboy Bebop (along with the Macross franchise) has great music all thanks to Yoko Kanno. My favourite anime series however has to be the Gundam franchise. I apologize for locating a verbose comment here, nevertheless I do not desire to observe Japan while it is harassed by chinese tasks. As you can perceive, Chinese only are able to imitate the designs of other countries, especially Japanese anime styles.Therefore, for anyone who reads this, please recognize/consider that Japanese people attempted so hard for pursuing the path of prosperity, always did their best, and often had perished their habitance and lifetime for a supreme development. I only aimed to say that china will not obtain any result from copying Japanese anime characters and then saying that it was their procedure. Dear Chinese, As you might be aware already, deceiving and cheating are bitter and unpleasent. please know that justice always wins eventually even if it takes a long amount of time. anyway, I think just about anyone with a half a brain will see the title “battleship YAMATO” can tell that it’s not a Chinese cartoon. for that matter, i think you’re reading into the website title a ‘little’ too much. Your comment is old, but since “justice always wins eventually,” I’ll argue on the behalf of the Chinese. I’ll try to be direct. You have stated that the Chinese can only copy or imitate the ideas of other countries, but have failed to realize that at various times in the past, Japanese has borrowed heavily from the Chinese language. This automatically disproves your claim of the Chinese only being able to imitate. They’ve created a whole language. You can think of it in this way: The Chinese did not “copy” or “steal” from the Japanese, but rather, they have created things inspired by the Japanese. If what you said was true, then only the first Impressionist artist would have been able to create that genre of art without being labeled as a cheat. But this isn’t true… People often create art inspired by others and many people have grown famous or made a name for themselves by using an idea not created by themselves. They are admired because they have imputed their own ideas and those ideas are sometimes, simply brilliant. Art does not “belong” to anyone. The Chinese have not “copied” Japanese anime, they have not plagiarized, they’ve merely been inspired by an idea and built upon it. Art does not belong to one person or group. Once it’s out there, it’s the world’s. And yes, my dear, I am aware deceiving and cheating are unpleasant and rarely are looked upon with admiration. Justice doesn’t always win on this world, but it is wonderful when it does. Thank you for letting me argue. I apologize for not commenting about the topic of this page. I don’t really care about list itself i just love how your blog is named chinese cartoons while at least 99% people watching anime knows that they are made in Japan, with really a few (like 0,1%) exceptions. but as the fellow edgar says.. apparently iii have a .01% chance of success. challenge accepted! I find your list utter blasphemy. While you not only included all those atrocities on your top 10 list, I find something like “Cory in the House” worthy of the number one and the rest of the spots in there, as, if you’ve seen the show, there is no way to beat out the incredible anime plotline, characters, and emotions “Cory in the House” displays. How about Boku no pico? I really don’t understand! Why do you call them ‘Chinese Cartoons’ again? OBVIOUSLY , they are all japanese and damn good anime, so why are u misleading or lying??? Trying to take credit of other people’s hard work and labels them chinese???? Everyone knows the Japanese animes are the best in the world. Do you really think if they were chinese made, they would turn up this good? Just say the best top 10 animes, why you are lying? If someone is watching these types of animes, it means they are very professional anime watchers , so easily, they can recognize the Japanese from non-Japanese work. You didn’t even bother to not put the names of direcyors and companies which they ,again, OBVIOUSLY are Japanese. I must say you have a sense of humer my friend. Professional anime watchers??? Just LOL…,..,oh and LOL again..,,.just wow.